June 30, 2010  The Senate Armed Services Committee has voted in favor of Gen. David Petraeus to become the next commander of the Afghanistan war. The full Senate is likely to confirm Patreaus quickly. He's replacing Gen. Stanley McChrystal, who was fired for negative remarks he made about administration officials in an interview. June 28, 2010  Robert Carlyle Byrd, the longest-serving U.S. senator ever, died early Monday in a hospital near Washington. Byrd, 92, was an institution himself, serving more than 51 years in the Senate and six in the U.S. House. A West Virginia Democrat, Byrd was a master of Senate rules, author of its definitive history and provider of hundreds of millions of dollars for his home state. June 28, 2010  Both a fiery orator versed in the classics and a hard-charging power broker who steered billions of federal dollars to the state of his Depression-era upbringing, Byrd died Monday. He was longest-serving member in congressional history. June 28, 2010  Of the Senate's 100 members, none was more devoted to its history nor more steeped in it than Robert Byrd. He was also a man who fought the Civil Rights Act — to his later regret — but who took pride in his fight against authorizing the use of force in Iraq. The West Virginia senator who joined the chamber in 1959 died Monday at age 92. June 26, 2010  Elena Kagan breezed through similar hearings last year to become solicitor general, but this time Senate Republicans seem intent on questioning her credentials for a lifetime seat on the highest court. June 25, 2010  The current debate in Congress over government spending harkens back to the pressures faced by President Franklin Delano Roosevelt in 1937. 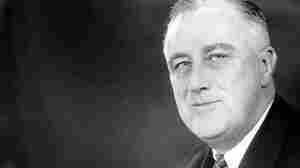 When FDR tried to balance the books that year, unemployment almost doubled. June 23, 2010  Secret holds are an obscure tradition in which senators anonymously threaten to filibuster executive and judicial nominations. Democratic Sen. Claire McCaskill of Missouri, who is leading the drive to abolish the practice, says she has the support of two-thirds of the Senate to get the Rules Committee to stop them. June 16, 2010  Gen. David Petraeus was back on the Hill on Wednesday, testifying before committees from both chambers that the surge program in Afghanistan is working, and that more time and patience are needed to bring success. Defense Secretary Robert Gates was also on hand to bolster the case. June 15, 2010  Gen. David Petraeus testified Tuesday before the Senate Armed Services Committee on the situation in Afghanistan. About an hour into the hearing, Petraeus fell ill, slumping onto the witness table. While it was not serious and the hearing will continue Wednesday, the session got off to a contentious start with many questions about the president's plan to withdraw troops in July 2011. June 10, 2010  The Senate on Thursday rejected a challenge to Obama administration rules aimed at cutting greenhouse gas emissions from power plants and other big polluters. June 10, 2010  Does the Senate have the votes to pass a climate change bill just as the House did a year ago? An early indicator came Thursday, when senators debated and narrowly rejected a measure to keep the EPA from regulating greenhouse gases. That agency's authority and its plan to do so next year are seen by supporters of climate change legislation as pressure for Congress to act first. The EPA measure, by Alaska Republican Lisa Murkowski, had dozens of co-sponsors, including some Democrats. But it didn't have the 51 votes needed to prevail. June 3, 2010  President Obama is still struggling to get scores of his key executive and judicial branch appointees confirmed by the Senate, where lawmakers are stalling them anonymously. Now Democrats and even some Republicans say they want to curtail the use of "secret holds" or do away with the practice altogether. June 1, 2010  Proponents of repealing the "don't ask, don't tell" policy -- the measure that bans gays from serving openly in the military, won two key votes in Congress last week. The repeal is part of the defense policy bill the House passed Friday. It also became part of the Senate's version. But legislative hurdles remain, and the repeal initiative faces barriers beyond Congress. May 27, 2010  The Senate Armed Services Committee and the U.S. House are aiming to hold votes Thursday to repeal the 1993 "don't ask, don't tell" law. Military leaders wanted Congress to hold off such a vote until the completion of a Pentagon review of the potential impact of repeal, which is due in December. But with most Republicans opposing repeal, Democrats decided not to delay action until after midterm elections, in which they stand to lose seats. A compromise with tepid support from Defense Secretary Robert Gates calls for repeal to be contingent on completion of the study, and certification that troop readiness won't be affected. 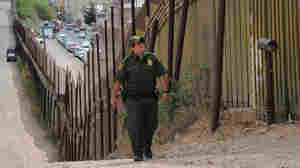 May 26, 2010  Senate Republicans are trying to amend a bill funding U.S. troops at war to include money for cracking down on the U.S.-Mexico border. In response, the White House has promised more National Guard troops and funding for the border. But politics, more than national security concerns, may be driving the one-upmanship.